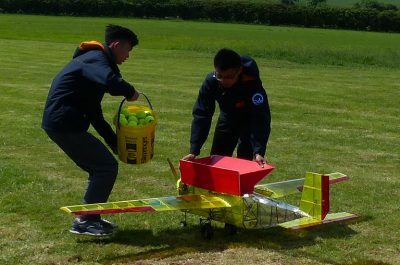 BMFA Payload Challenge – last year’s action! The BMFA Payload Challenge returns this June, 2018! 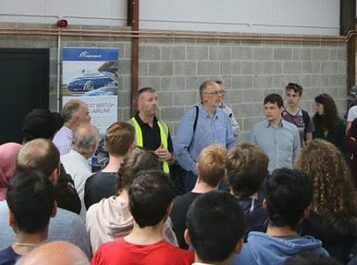 Mike Goulette, Fellow of the Royal Aeronautical Society, explains what went on at the 2017 Payload Challenge as entrants get ready for this year’s Challenge! 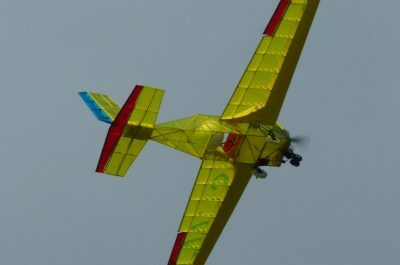 The Payload Challenge is an international model aircraft competition organised by the British Model Flying Association (BMFA) for students in schools, colleges and universities. The competition has been running for many years, however, in 2016 the Royal Aeronautical Society (RAeS) partnered with the BMFA for the first time to support the competition as part of our 150th anniversary celebrations. In 2017, CargoLogicAir, an RAeS Corporate Partner, also joined us as a sponsor for the 2017 challenge and was very ably represented by Aleksey Matyukhin who also brought along his young family. There were three classes in the 2017 competition. The Distance Challenge is for the greatest number of laps around a 300 metre long course in 7 minutes with a dummy load measuring 150x150x300mm. This is aimed at school children under the age of 17. The Quantity Challenge is to carry as many tennis balls as possible around the same course in 8 minutes and is aimed at students in full time education and also air cadets. Amazingly, the winning team transported 320 balls during their allotted time. 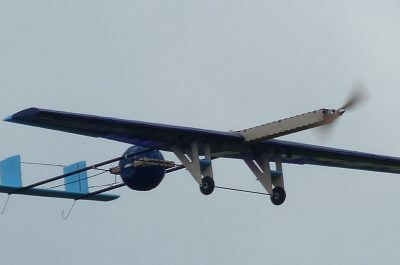 The Weight Challenge is aimed at carrying up to 4Kg of water ballast, performing a set manoeuvre and landing safely with an aircraft with a 150mm diameter dummy sensor package on board. The flight is scored by dividing the payload carried by the empty mass of the aircraft. This class is also for full time students and air cadets. All three classes use a standard electric propulsion system defined by the organisers. The students have to design and build their own aircraft. They also have to submit design reports and drawings and, on the day of the competition, make a presentation to the judging panel which included Aleksey Matyukhin and Professor John Dominy FRAeS. The teams are allowed to have an experienced radio control pilot fly the aircraft to ensure that strict safety rules are observed. Each of the competition elements, (report, presentation and flight) count towards the final score. The 2017 competition presentations and flights were held for the first time at the new BMFA National Flying Centre at Buckminster Lodge in Lincolnshire. This proved to be a great venue with good facilities for setting up aircraft under cover, space for camping and a grass runway that was kind to the occasional dodgy landing! The contest was run very effectively by the BMFA’s Manny Williamson and his team of helpers and there was often a long queue of teams and pilots lined up and anxious to make their flights. As always some aircraft flew better than others and some teams worked better than others but everyone involved had fun and the buzz and excitement made for a very enjoyable weekend. 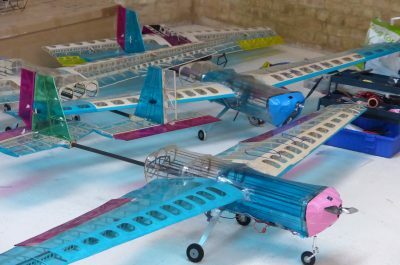 The winning teams were the Aeronuts in Distance, Hebust MAA in Quantity and Ningxia Aeromodelling in Weight. Both the latter two teams are from China. Many thanks to the BMFA for once again organising an excellent competition and also to CargoLogicAir for their sponsorship and support at the event.